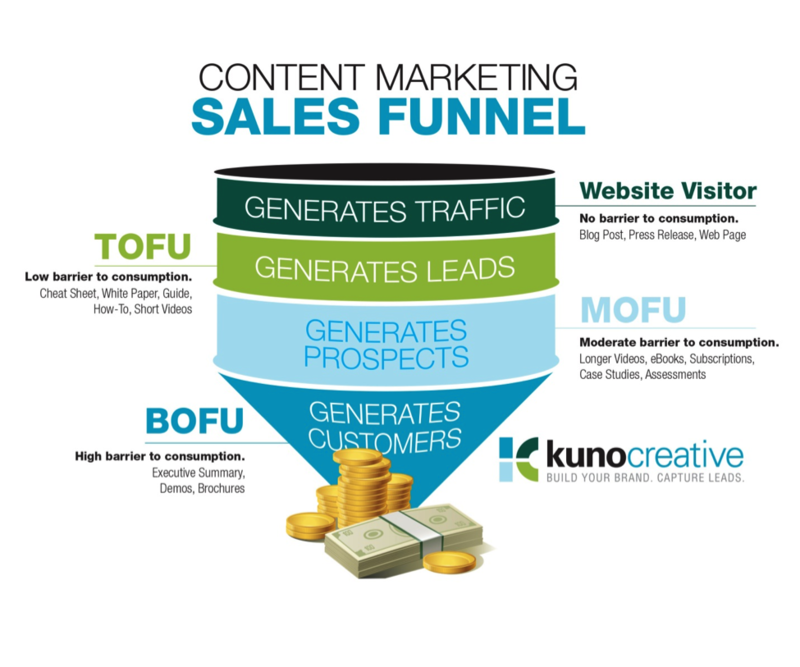 The classic sales funnel has long been used to describe website development strategy. 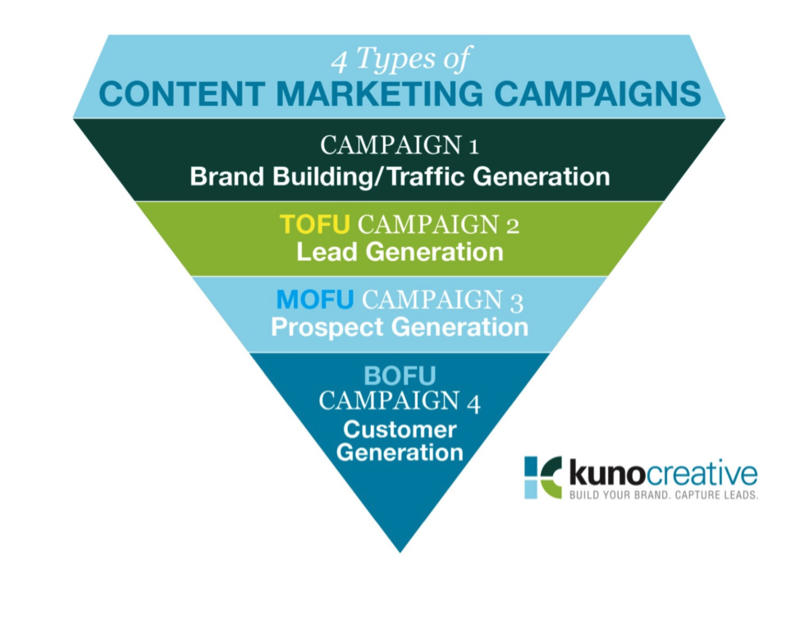 However, the deployment of content marketing in a sales funnel with a campaign focus is a relatively new concept to many. It’s not as simple as writing lots of blog posts every day and distributing them on social channels. In fact, the goal of strategic content marketing should be to identify, qualify, segment, score and, ultimately, close leads in an accelerated and predictable fashion. In order to strategically deploy content marketing it requires the right software, a defined sales funnel and a campaign structure. Most marketing automation tools available today are built with the above goals in mind. They’re designed to streamline and simplify the processes. From the SMB to the Enterprise, there’s a solution available that will meet a content marketer’s needs. HubSpot’s three software packages are a good representation of gracile to robust functionality. It’s also possible to identify the above for each individual marketing persona, segment and/or content subject. Whether or not to do this will be determined by the goals, website size, product/service offerings or industry of the content marketer. 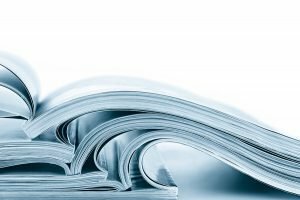 If the past history of content consumption is unavailable for current and former customers then barriers to content consumption will initially define the different levels of the sales funnel. However, overtime the collection of advanced behavior analytics will help refine the funnel. Moving content consumers from the first stage to the final stage over time is critical for efficient and successful inbound marketing. It’s also the catalyst that drives the identification, qualification, segmentation, and scoring of leads and prospects in an accelerated and predictable fashion. The formula for the first type of campaign, brand building and traffic generation, is well known. These campaigns typically involve many inbound channels (SEO, social media, referral traffic, etc. ), possibly some outbound (PPC, SEM, email, print media, etc.) and lots of content lacking on-page barriers to consumption. The Content Marketing Manifesto highlights the effects content marketing for traffic building can have over a three year period. On the other hand, the other types of campaigns aren’t as well known. HubSpot’s, Mike Ewing has played a leading role in helping define campaigns two through four and the inbound marketing campaign structure. He communicates this using a short ebook offer (TOFU), free assessment offer (MOFU) and a product demo offer (BOFU) as examples. Above and below are graphical interpretations of this campaign approach. Each layer above represents the steps required to efficiently drive conversions and nurture website visitors from the top to the bottom of the funnel while optimizing the process overtime. 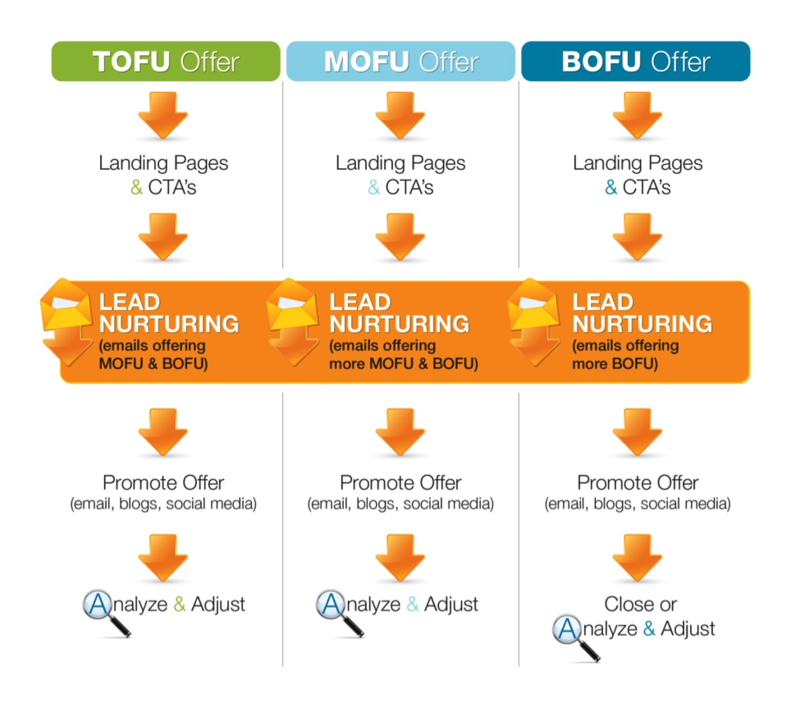 Lead nurturing is a critical component in the content marketing campaign structure. Without it every website conversion would have to be qualified by sales staff. This can be a daunting task since good content marketing can drive thousands of conversions a month. Manually qualifying conversions can also lead to frustration and complaints by the sales staff that the leads are unqualified. Lastly, lead nurturing can accelerate a website visitor’s journey through the funnel or disqualify them altogether in an automated fashion. With the right software, a defined sales funnel and a campaign structure, content marketers can deliver the right content on the right channel to the right person at the right time in order to efficiently drive profitable consumer action.